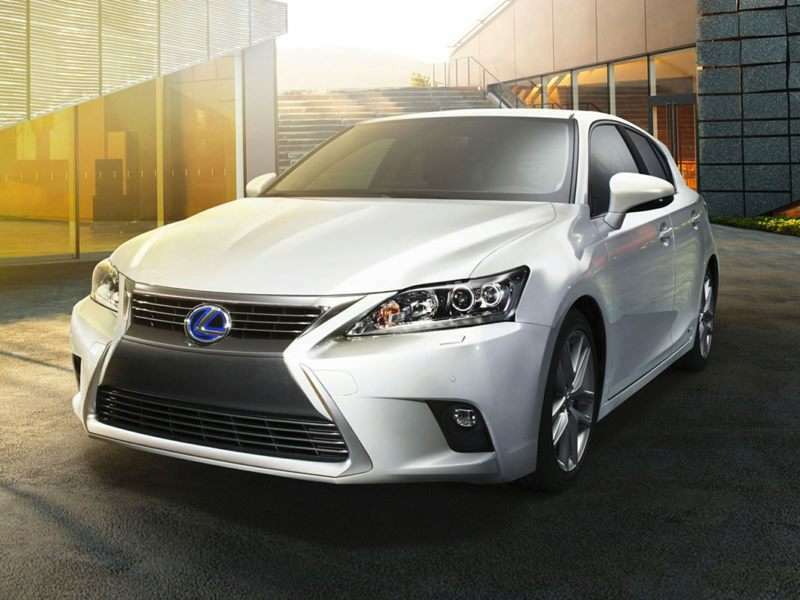 The 2017 Lexus CT 200h is a 4-door, 5-seat Hatchback, available in 1 , the Base. Upon introduction, the $31,250 Base is equipped with a standard 1.8L, 4-cylinder, engine that achieves 43-mpg in the city and 40-mpg on the highway. an Automatic transmission is standard. Lexus is the luxury division of Toyota, created in 1990 with the launch of the Camry-based Lexus ES and the flagship Lexus LS. At first, traditional luxury automakers didn’t take the threat from Lexus seriously, but it didn’t take long for the combination of critical acclaim for and consumer acceptance of the brand to make the entire industry take notice of the new premium brand, which claimed in advertising to relentlessly pursue perfection. In the decade that followed, Lexus expanded its lineup, developing a reputation for building mechanically refined, sumptuously luxurious, and unfailingly dependable vehicles. By 1999, when Autobytel began compiling Lexus pictures for photo galleries, Lexus dealers were selling the original ES and LS, as well as the GS sport sedan, the LX and RX SUV models, and the SC sport coupe. Aside from the LX, a luxed-up clone of the legendary Land Cruiser, only the popular ES demonstrated clear lineage to a U.S.-spec Toyota model. Check our Lexus photos for yourself to see if you can spot the Camry under the ES model’s styling. In 2001, Lexus introduced the compact, rear-drive IS model, a vehicle designed more for entertaining than coddling its owner. However, it wasn’t until the performance-tuned IS F appeared for 2008 that anyone thought of Lexus as a company capable of delivering a driving experience on par with Audi, BMW, and Mercedes-Benz. And if any doubts lingered beyond that time, the limited-production Lexus LFA supercar put them to rest by 2012. Today, as can be found in our archive of Lexus images, the company offers luxury buyers a wide-ranging lineup of cars and SUVs, ranging from the CT 200h hybrid to the LX 570 off-roader. The LFA’s design influence is evident in the newest offerings, and all modern Lexus models wear a “spindle-style” grille design intended to visually unify the vehicles.